There have been seasons in my marriage when my thoughts of my husband were far from believing the best about him. There were seasons when I would say under my breath, I hate you. It hurts tremendously to admit such a thing. I never stopped loving my husband, even during our two separations, but there were seasons when it seemed easier to hate him than love him. In chapter seven of The Love Dare the writers refer to having two rooms in your home: the Appreciation Room and the Depreciation Room. The Appreciation Room is obviously where positive thoughts about your spouse take place and the Depreciation Room not so positive. The dare takes you to both rooms by asking you to write down the positive and negative things about your spouse. I have not read ahead so I do not know what I will do with my lists. Apparently we return to the lists at a later date. Honestly, I have no interest in going into the Depreciation Room. I write from a perspective of my marriage being in a good place, yet I know God wants me to reach those who may be where I once was. The years when you would most likely find me in the Depreciation Room were a dark time. In the Depreciation Room I would write on the walls all the things that bothered and irritated me about my husband. As said by the writers, I “placed words and opinions there out of frustration, hurt feelings, and the disappointment of unmet expectations.” The more time I spent there the easier it became to add to the walls. Eventually I thought there had to be better so I left my husband looking for better . . . I left twice. 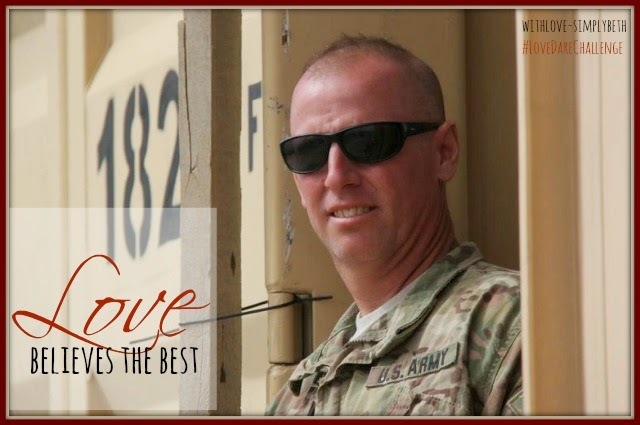 I always had a choice, and still have a choice, of how I choose to think about my husband. I could choose positive thoughts or negative thoughts. But love chooses to believe the best. While the things I've written on the walls of the Depreciation Room may have been or still hold true, so are the things written in the Appreciation Room. Love focuses on the positives. As I filled the walls of the Depreciation Room with the ways my husband had hurt me the more hurtful I became towards him. The time in that room truly almost killed my marriage and the blame did not fall solely on my husband. We both had areas where we failed because we are both sinners in need of God's grace. 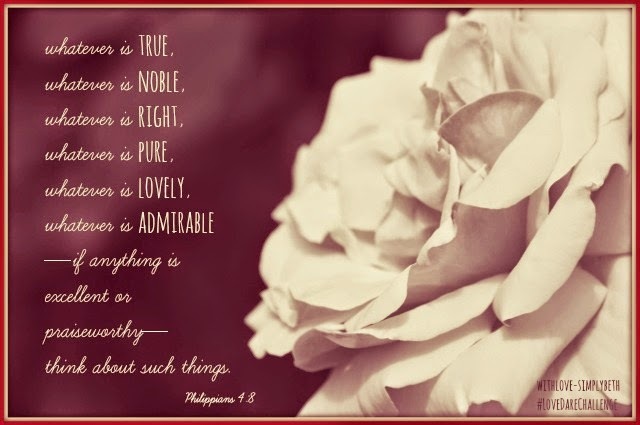 Paul says in Philippians 4:8 that our thoughts should only be of that which is true, noble, right, pure, lovely or admirable. 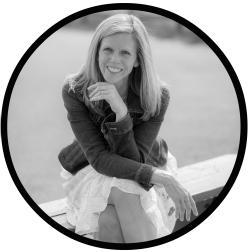 When I think back to those dark seasons excellent or praiseworthy thoughts about my husband seemed impossible. But with God all things are possible (Matthew 19:26). I now know I need to pray and ask God for His help. With confidence the writers will have me do something positive with a list of the ways my husband bothers or irritates me (such as tear it up), I briefly entered the room I no longer like to be in and wrote one thing on a piece of paper. I then wrote “Covered in Love” in big letters over it, folded it up and tucked away until I receive further instructions. While surely my husband does things that bother me, I choose to see beyond them and focus on the reasons I appreciate him. The months we've spent apart have taught me there are indeed many (many, many) wonderful qualities my husband beholds. Love is a choice we make. We make it by choosing to place God first in our lives. We make time for Him and we get to know Him by spending time in His Word. God is the answer to loving our spouse with His kind of love. What a wonderful gift it is to serve a God who cares about every detail of our marriage. He is eager to help us spend our days believing the best about our spouse. I think you've finally convinced me that I need to get this book! Thanks for sharing your heart Jen. I think we all struggle with those days where we depreciate our husbands. I know I've had those days too. God is good though, He never gives up on us and continues to teach the willing heart. I love the verse (Phil 4:8) you have shared, one to always come back to. God is good and I am so grateful He never gives up on us. Thanks you for your kind comment, Cathy. Blessings. "Love is a choice we make. We make it by choosing to place God first in our lives." Beth, that was profound! Love is a choice - sometimes a choice that we make in spite of our feelings. After all, God loved us first...WHILE we were still sinners. He resides in the No Condemnation Room. And I'm pretty sure He's inviting us to come on in, too!! I really like the "Covered In Love" banner that we need to post over all the flaws we find in the depreciation room. Thanks for the reminder that Love always looks for the best...and then stays focused there. 'Love is a choice we make.' Pure and simple, yet not at all easy, yes. Beautiful. What an amazing redemptive story. You inspire many. Now I need to go get this book and read through it with you! :) Blessings! I too had a time of hate... was hard bit realized it was a medicine effecting me and past untrusting situations added to that. God worked in our marriage when we dedicated that fixing to Him and I got the medicine out of my life. Our marriage is stronger then ever - beautifully redeemed! Thanks for being so open and honest to help others. You are inspiring. What a powerful visual!! I have caught myself thinking negatively about my spouse, but I know the horrible roads that can lead down, so I try to turn those over to God ASAP. From an anatomical/psychological standpoint, when we think something often or with strong emotion, we actual create a groove in our brains just for that thought; we create well-worn path. We can train ourselves to create negative or positive grooves! That's why I LOVE how our amazing Creator reflects our design in His Word and tells us to take EVERY thought captive! Many years ago, a wise mentor shared with me that whenever I caught myself thinking negatively about my husband, I should immediately remember the reasons I fell in love with him. I cannot tell you how that simple suggestion has, many times, brought the wheels of negativity to a grinding halt. Wonderful post, Beth. Love is truly a choice we make - each & every day. May we grow more in love with our men each day! This is beautiful, Beth. God honoring, God glorifying, beautiful. I am so thankful you're sharing your story. So brave. 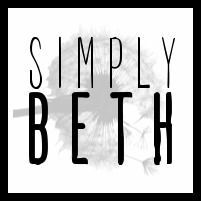 Beth, this is beautiful! "Love is a choice we make." Needed that today. Great book and a wonderful post sharing God's truth on love. I'll be going back to your previous posts! Thank you for sharing from your heart to encourage others, including me! Thank you for your encouragement, Julie. I'm so grateful we have connected. I love seeing you here. Blessings. Not going to lie-- I think I have the Love Dare book on my shelf but I haven't ever read it fully... I am starting to think I need to get to crack-a-lacking. I love that you are sharing your journey with us-- it is profound AND inspirational! Thank you, dear friend. Keep up the stellar work! Thanks for your sweet encouragement every week, Sharita. Love you. Love this! It's really true in all our relationships too. The more we focus on the negative, the more negative we will feel about the relationship. I certainly need to give that some thought in my own relationships. Great post my friend. Much love! what an honest way to look at your marriage and see what needs to be repaired and renewed. Thank you for sharing your story! It was wonderful to see you here, Sarah. Thank you so much for stopping by and for your kind words. Blessings. "Hanging out in the Depreciation Room will kill your marriage." Great words. Great series. Blessings to you friend as you love your husband better and help others love their spouses better too. Thank you, Shelly. I love seeing how God is using it to strength and bless my marriage. He is so good. Love you so much. So true, Beth. Love is a choice we make. I have heard so many great things about this book and I know my husband and I will have to go through it one day. I'm sure it would be so beneficial to our marriage. Thank you for sharing the ways you have strengthened your marriage. There is so much good stuff here. It's one of those books, Abby, that I would say every couple should go through once a year. It provides such wonderful reminders of what love is and what it is not. Thank you for your kind comment. Blessings. Ooooh! This is good, Beth! Focusing on the positive and "covering with love" the negative will build a healthy bond. When we think we can't do it...we can with God! God wants our marriages to succeed and with His help, they will! Thanks for this continuing series! Some powerful words, my friend. The way I usually see my mate is through my human eyes and heart. But should I have a chance to sit quietly before my God and find out that He wants me to see through His eyes and His heart, I will see the beautiful man that He created. Yes, Kenneth and I are both sinners. We both have taken the God-created being and made it less than whole. But God still knows and sees us as He created us. Oh, that I will look upon my husband and see him as God sees him. Powerful, Beth. I love that "Covered in Love!" Very powerful. Me too, Anita. It's good to see you here again. Much love to you. Hi Beth! Good for you for refusing to go too deeply into that room. 'Been there and done that.' Maybe someone else would benefit from being there, but you know you wouldn't. That's a voice of experience. Covered in Love. Yes. That is what God does, and what he calls us to do too. It's very hard sometimes, and you told us about your struggles. But you were able to make it through, and be better for it. That is true inspiration for me my friend. Your hard times have not broken, they have blessed. What a great gift. Beautiful post, Beth. I love the phrase, "covered in love." It's funny how we expect God to cover us in love, and we hope others will do the same, but we have such a difficult time doing it for others. Unmet expectations can be so hard, but choosing to focus on the good makes such a difference. Great words. Beth, I just found you through several mutual friends. I can't wait to get to know you better. I've loved reading a few of your posts and the way you share your heart. Thanks for sharing your thoughts, especially about the Depreciation Room. It's a scary place, but a place we must visit in a good marriage. If we don't recognize the failings of our spouse, we live in a fantasy world, which is unhealthy for our marriages. The trick, as you have mentioned, is to not stay in it very long. And when you are in it to realize that the same grace that covers our sin/failings/faults covers those of our spouse. Well done, Beth! Lots for us old married folk to think about. And a great perspective for anyone who is contemplating marriage.